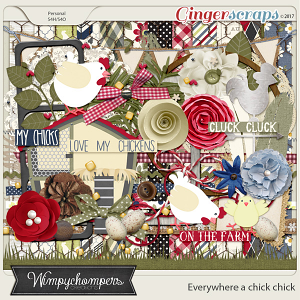 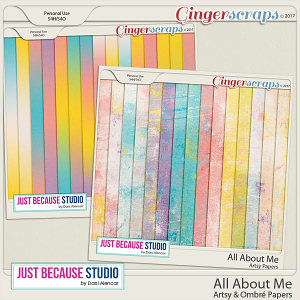 A digital scrapbooking digital kit by Just Because Studio. 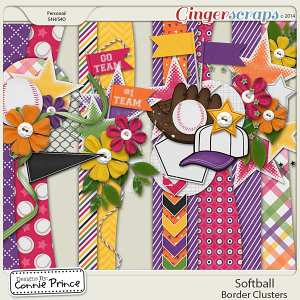 This includes 9 solids, 19 patterned and 79 elements: cards, accordion, ampersand, arrows, banners, bows, borders, buttons, greenery, ephemera, crochet doillie, flairs, flowers, frames, geotags, hearts, lace, ribbons, scribbles, stars, tag, stitching, word arts, word bits, and washi. 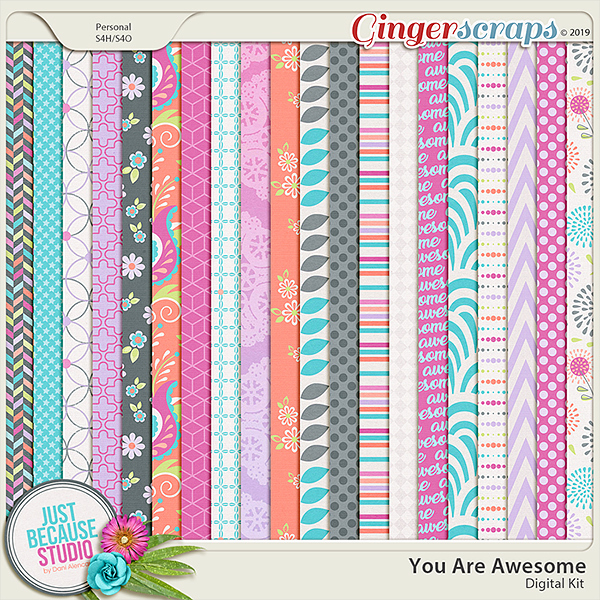 Designed as part of You Are Awesome Collection.